should come after iodine, eka-iodine. bombarding bismuth-209 with alpha particles in a cyclotron. in the uranium, actinium, and neptunium decay chains. 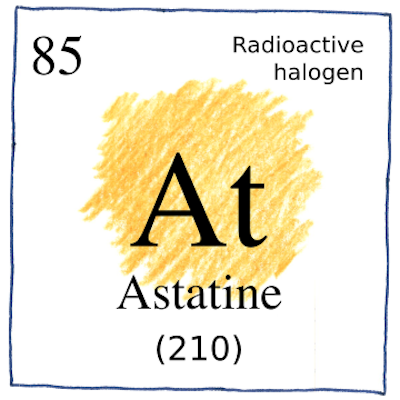 unstable and synthetic isotopes of astatine. can be found in nature. alive on an island in the Pacific. Many magic combinations of protons, neutrons, and electrons already make the magic island that we live on.